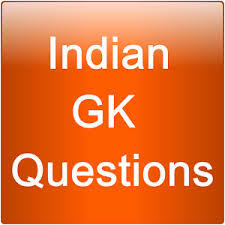 General Knowledge questions on Indian GK for Bank PO, IBPS, Bank Clerical And Indian GK For Railway GroupD,RPF,Rajasthan Police SI 30-10-2018 questions for bank exams, very important computer-related questions for Bank PO, SBI PO, IBPS,RAS, IAS, UPSC, RPSC, 1st, 2nd, 3rd Grade Teacher, REET CTET, LDC, SSC CGL, IBPS, MBA, CAT, MAT, SBI-PO, RBI And Railway, Indian Army And all competitive Exams, and Most expected Computer Question Papers with answers. These Questions are most commonly asked in Other Banking Exam And All subject Wise Notes and Math, Hindi, English, History, Political Science, Psychology, Sanskrit Related Study material. Question(1) What was the real name of Tatya Tope? Question(2) The famous temple of Abu is Lunawashyi and Vimalshahi? आबू के प्रसिद्ध मंदिर लूणवषाही एवं विमलशाही है ? Question(3) Dhinga Gangaur is famous? धींगा गणगौर प्रसिद्ध है ? Question(4) Rajasthan’s first sugar mill set up in the private sector is ‘The Mewar Sugar Mill Limited’ Bhopal Sagar (Chittaurgarh), when it was established? निजी क्षेत्र में स्थापित राजस्थान की पहली चीनी मिल ‘दी मेवाड़ शुगर मिल लिमिटेड’ भोपाल सागर (चितौड़गढ) है, यह कब स्थापित हुई ? Question(5) Where was the special economic zone established for jams and jewelery? जैम्स एवं ज्वैलरी के लिए विषेष आर्थिक क्षेत्र की स्थापना कहां की गई ? Question(6) Khari river is found near Devli (Tonk) in Banas, where is the source of this river? खारी नदी बनास में देवली (टोंक) के निकट मिल जाती है, इस नदी का उद्गम स्त्रोत कहाँ है ? Question(7) Which of the lakes of Rajasthan is related to the Duke of Kanat? राजस्थान की वह कौन सी झील जो ड्यूक आॅफ कनाॅट से संबंधित है ? Question(8) The construction of the Kumbhalagadadurga was done by Maharana Kumbha in the order of which Shilpi? कुंभलगढदुर्ग का निर्माण महाराणा कुंभा ने किस शिल्पी के निर्देषन में पूर्ण करवाया ? Question(9) The highest rainfall in Rajasthan is approximately 150 in the adjoining areas. Me Happens till then ? राजस्थान में सर्वधिक वर्षा किस पर्वत के निकटवर्ती क्षेत्रों में लगभग 150 से. मी. तक होती है ? Question(10) Akbar gave the title of ‘Ferganda’ to which Rajput Manasbadar? किस राजपुत मनसबदार को अकबर ने ‘फर्जन्द’ की उपाधि प्रदान की ?